Disclaimer: The wall decal I received for free. Thank you RoomMates for so generously gifting it to my girl. All opinions are very much my own. Getting out the door can be one hard task as a mom. This winter I learned there was an extra step to it when you have to account for a winter coat, gloves, and a hat. Does everyone have what they need? or could possibly need? Has everyone done what they are supposed to so they are ready to go? These are just some of the questions that run through my mind as we are loading up to go somewhere. I don’t know about you, but when I have that list running through my head of: Reagan needs to go potty, everyone needs to fill their water bottles, does J have on two shoes…that match, do I have my post office packages, where is that receipt? and on and on. It’s a lot to process. My mind has a jumble of different things that it’s trying to remember and process all at the same time. If one sweet, sweet voice asks me something in that brain filing, it’s hard. If three little voices all speak on top of each other, at the same time during that filing…I’m one comment away from mental overload and can lose my cool. I hate it. Can you relate? It’s like all those good things you work so so hard the rest of the day instilling feels like in one trial to get out the door…they can be lost. I find myself more and more getting in the car, pulling away from the house, and having to apologize to my kids. 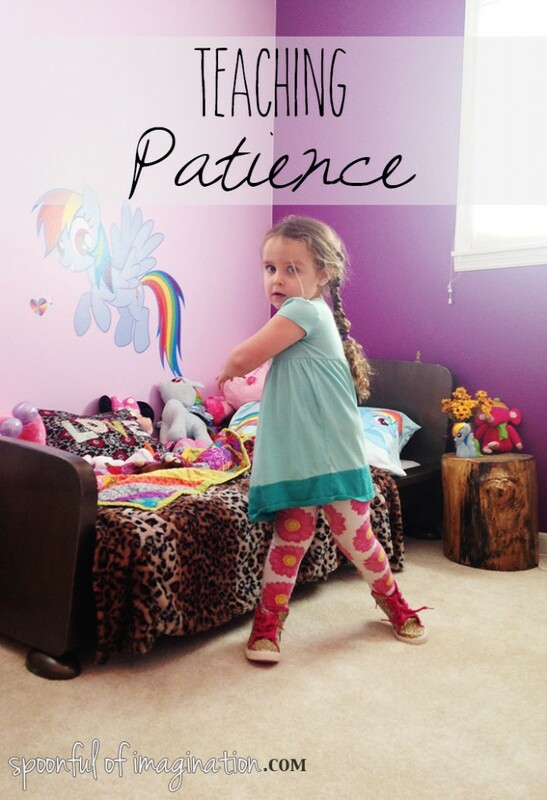 I want them to learn patience, yet I don’t always show it. So what if I pause to answer a question and forget something. This town is not that big. We can come back home. Nothing is worth more than my kids heart, even that forgotten return item on the counter. I say all this to say, there are moments where we feel like our kids aren’t learning or how can they learn from my behavior….but they are. My sweet Reagan Noel has been waiting so patiently for her room to get painted. Her room was the first room we painted at our last house, so I thought it was the boys turn this time. In this house setting up process, I realized both my craft studio and our foster care room needed shelves put up. Well, I might as well paint the walls before the shelves go up right? So, her room just kept getting pushed further and further back on my to do list. 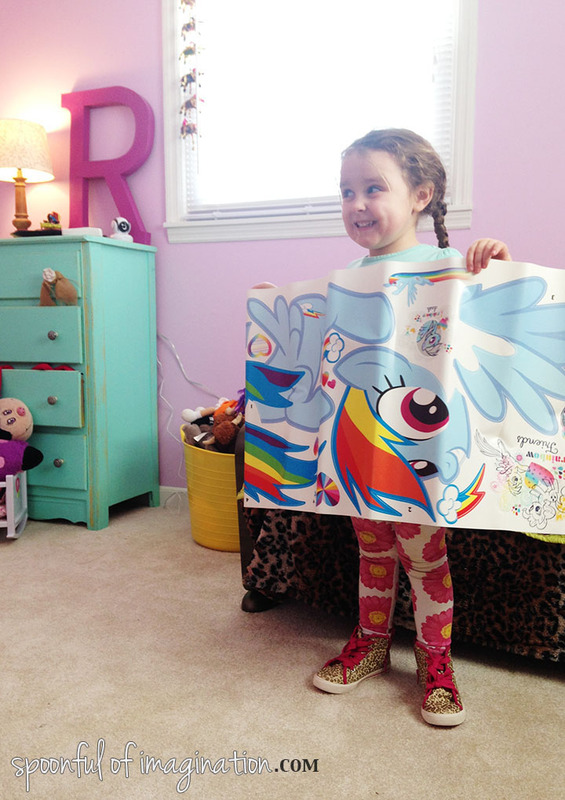 No joke, she has carried her Rainbow Dash Wall Decal box around for weeks and weeks asking to place it on her wall. 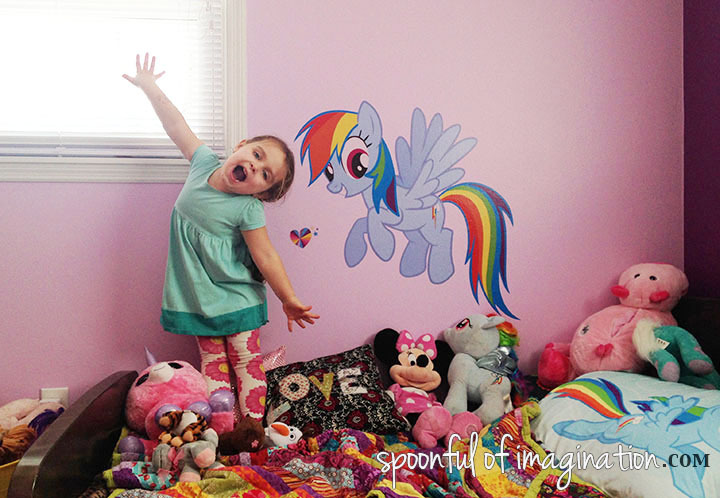 Each time I had to explain, we couldn’t yet, I would paint her room soon, and then we could. She would place that box down and go on her merry little way. 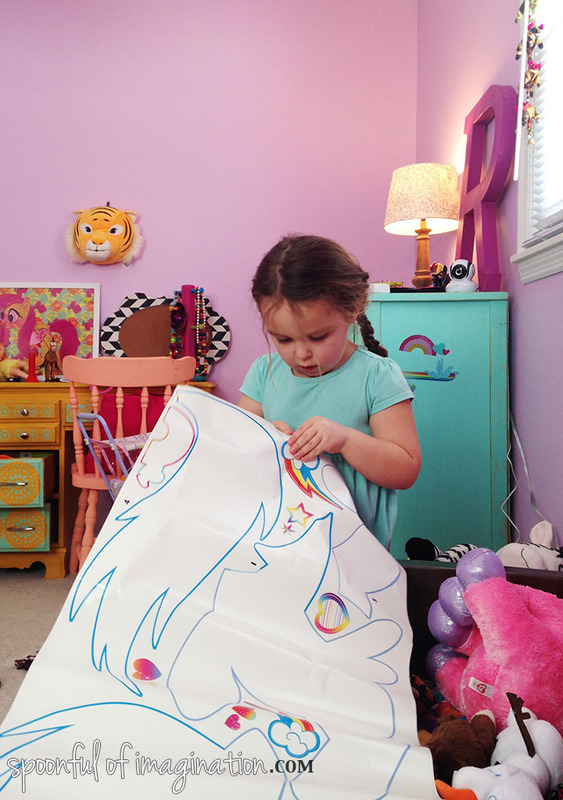 I have found that decal all over the house for when she would carry it and place it down in some new place. She has been waiting and so very excited. 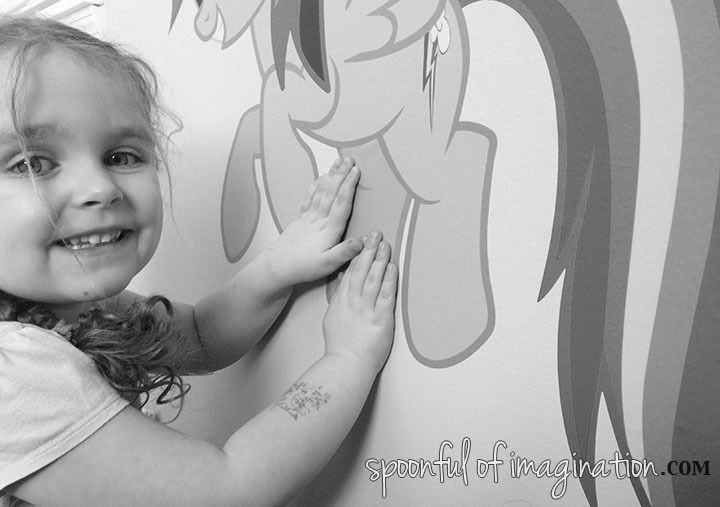 The day I told her we were doing her room the next day, I might as well have told her we were going to Disney World. She was that excited. 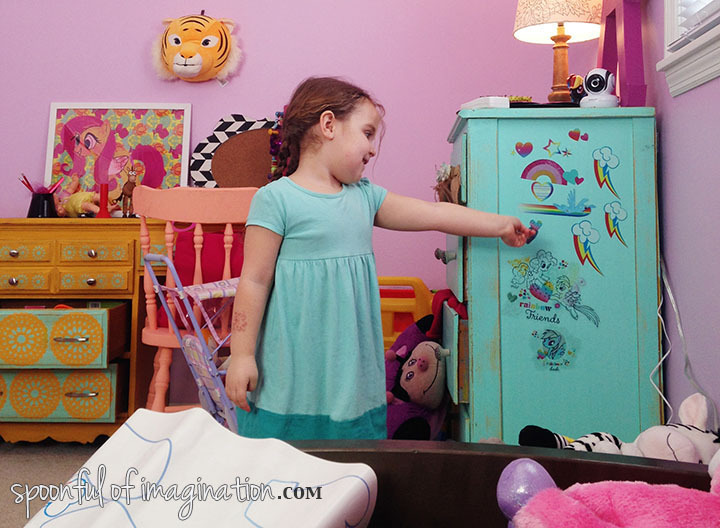 As I sat watching her decorate her dresser with all her extra fun decals, my heart just swelled with pride. She was so patient. She loved me so well as she waited for her turn. 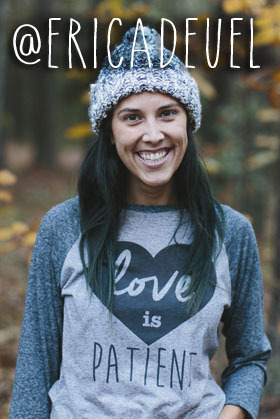 We try to practice love is patient, love is kind….but often my kids re-teach me this lesson. We have been in this house for over three months and she has waited and waited. There are those moments where we are impatient getting out the door and wish our kids didn’t get distracted or moved faster. There are those moments where your child is impatient waiting for a snack, or for shoes to get tied, or for that beloved blanket to come out of the dryer. But then there are the big moments where you see they are grasping concepts you are desperately trying to instill. By seeing them grasp it, you are encouraged, re taught the lesson, and maybe do a little better in the not so big moments..like getting out the door in time for church. My kids are molding me, just as much as I am molding them. I often say I want to be like them when I grow up. They laugh and tell me I am already grown up. 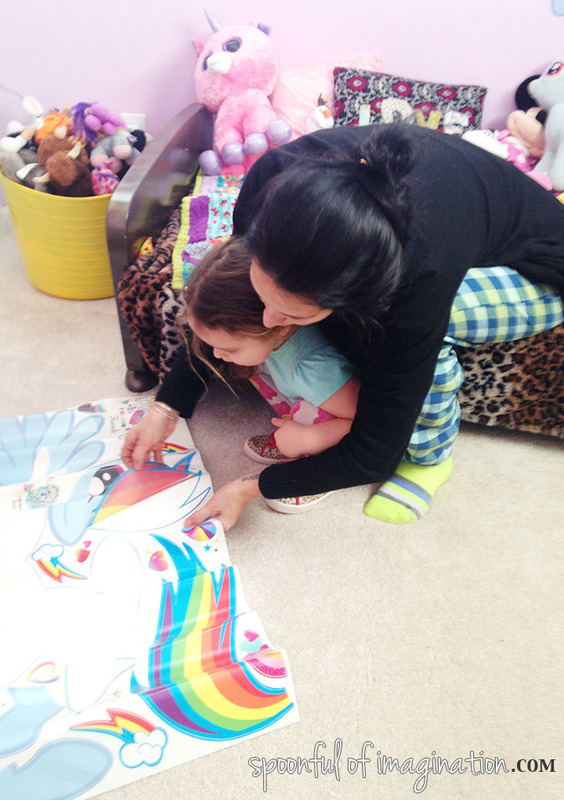 I say “no way, I’m learning right with you.” Humility is such a big tool in parenting. 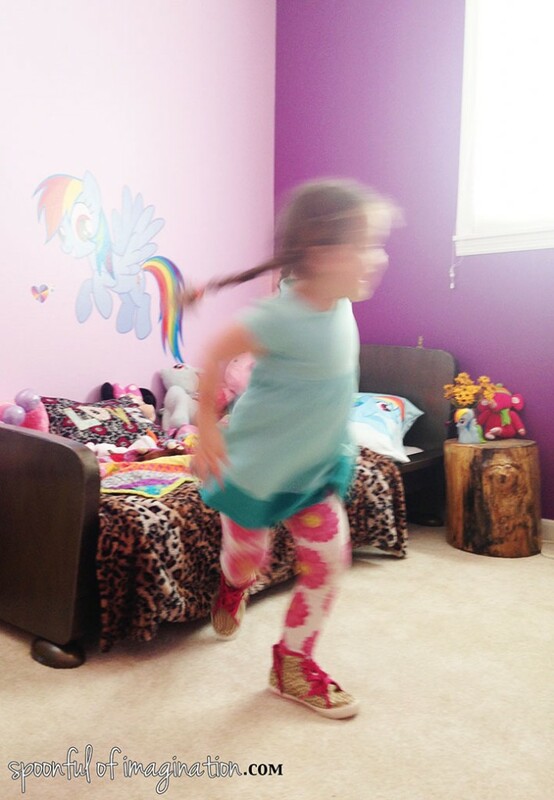 So, as my little girl, flies off her bed as “Rainbow Dash” ready to take on Ponyville or at least conquering my world….I am so thankful for the gift she is. It was just a wall decal, but I will always smile at it and remember the process and lessons we went through to get it on that light pink wall. I hope you have a great week and get to imagine the possibilities and maybe get to create a little. Even if the only creating you do, is a moment with your child. That might be the best craft there is.